“I am also pleased to announce that CEO of TMI Consulting, Tiffany Jana and former Chief of Staff to Governors Tim Kaine and Mark Warner, Bill Leighty will serve as Co-Chairs of the transition. 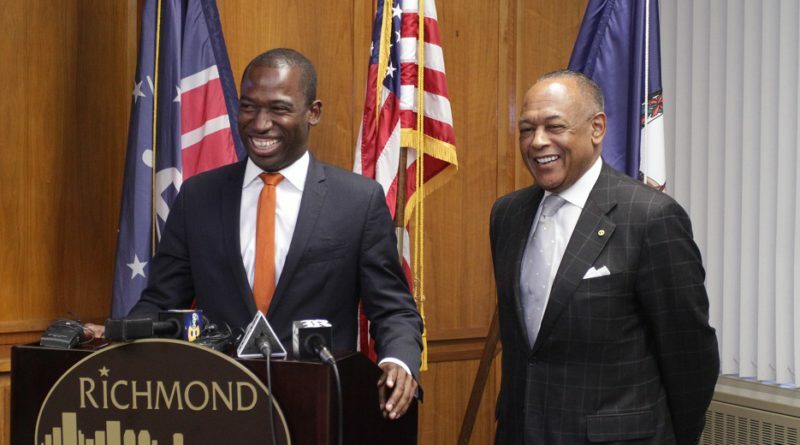 I am also pleased to announce that that Dr. Thad Williamson, Associate Professor of Leadership Studies at the University of Richmond and former Director of the Office of Community Wealth Building, will serve as director of my mayoral transition. “A transition process plan guided by the comprehensive policy platform set before voters has been developed. As part of this process, I will be requesting detailed updates and status reports on all departments and major policy areas from Mayor Jones, with whom I met today. I also plan to meet personally with Chief Administrative Officer Selena Cuffee-Glenn, Chief Alfred Durham and Superintendent Dana Bedden as part of this transition process. “I am eager to move forward with key action steps highlighted throughout my campaign, such as launching a comprehensive performance review of City government, working to develop an Education Compact to improve our schools in a collaborative spirit, and prioritizing the needs of children in my first proposed budget.